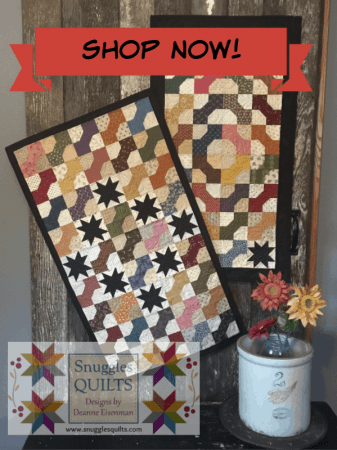 Two quick and easy table runners in this pattern! 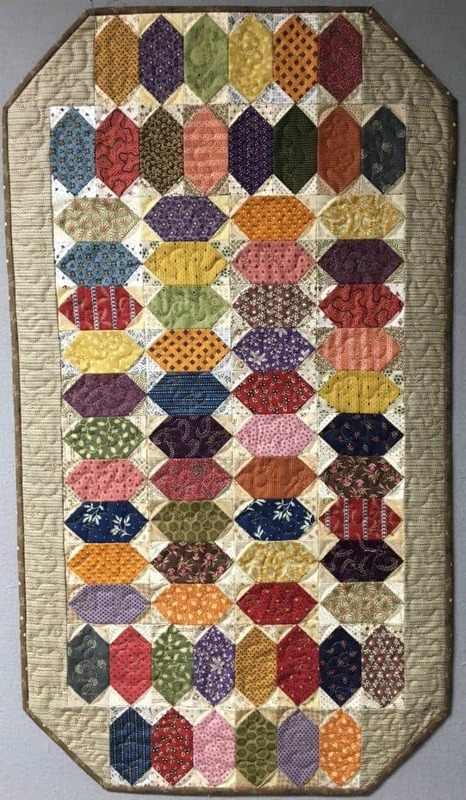 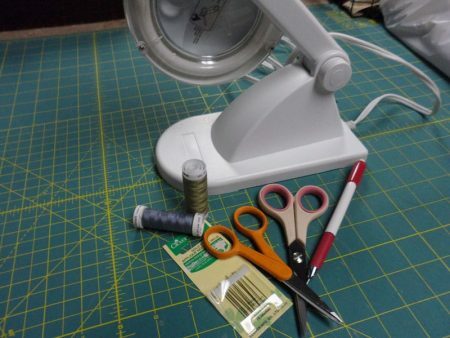 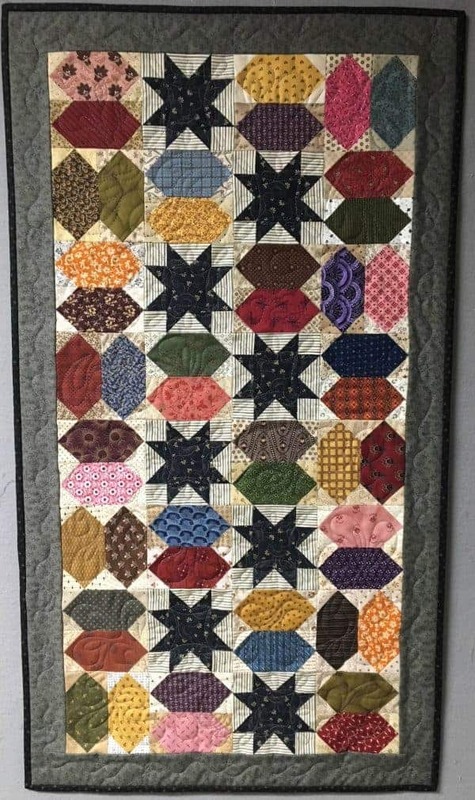 Use up those colorful 2 1/2″ scraps you have left over in your scrap bag. 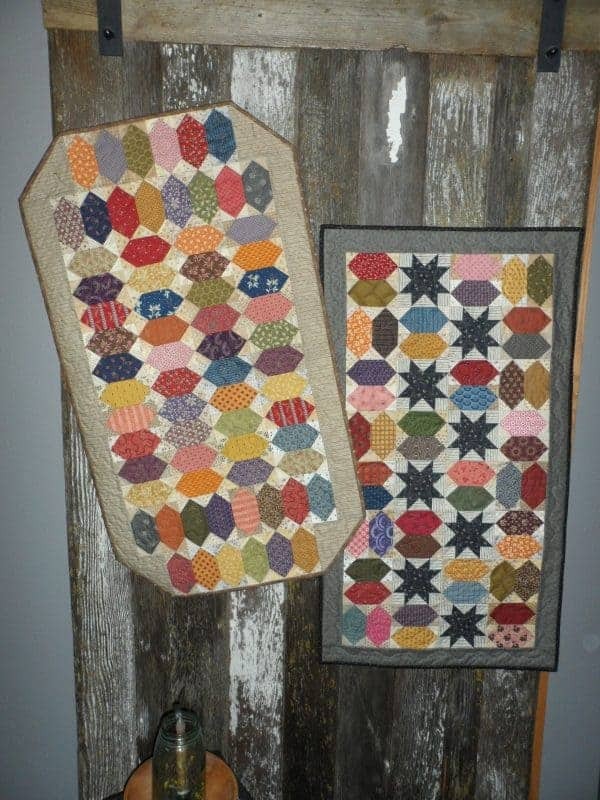 The table runner on the left in the photo is called “Light the Way” and measures 20 1/2 x 36 1/2″. 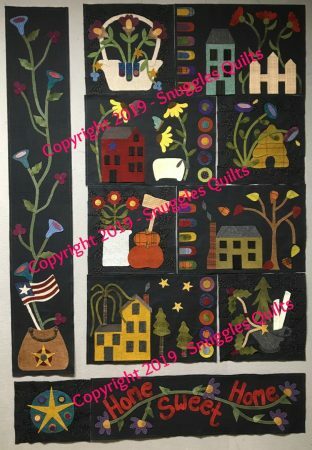 The other runner is called “Backyard Party” and measures 20 x 36″.